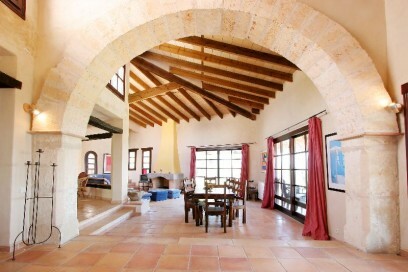 A beautiful, rustic style property set on a rise with views to the mountains and sea. Very well built with good quality materials featuring traditional characteristics of terracotta floors, high arches and wooden beams. The 5 Bedrooms are large (4 ensuite) and the attractive looking kitchen is built with care and thought. The rooms are bathed in sunlight and heated for the cooler months. Plenty of land offering welcome privacy with lawns and terraces surrounding the large pool and a BBQ area.